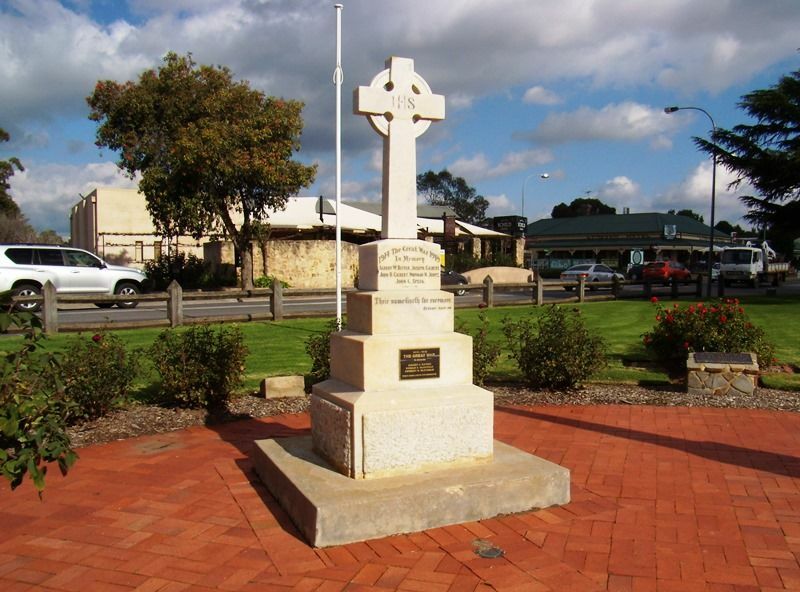 The Lyndoch War Memorial was erected to commemorate those who died in service or were killed in action in World War One. A memorial to perpetuate the memory of the soldiers of the Lyndoch district who made the supreme sacrifice in the late war, was unveiled on Saturday. The ceremony was performed by the Minister of Agriculture (Hon. T. Pascoe). The dedicatory service was conducted by the Rev. F. L. Walker. 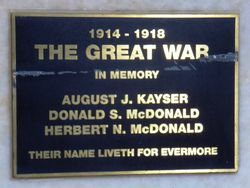 Mr. H. B. Crosby, M.P., on behalf of the Defence Department, formally handed over to the trustees the two machine-guns which had been presented to the district. Bunyip (Gawler), 13th January 1922. 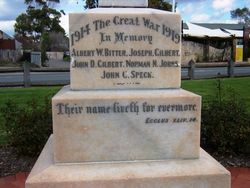 Their name liveth for evermore. Ecclus XLIV. 14.